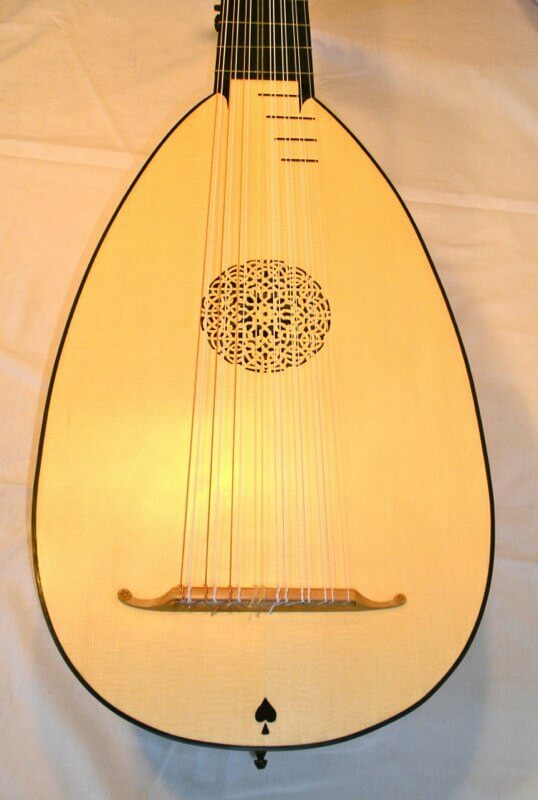 65 cm mensur. 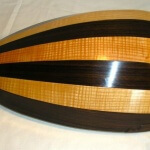 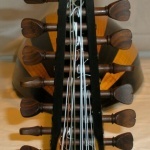 Alternating ribs of curly Ash and Rosewood. 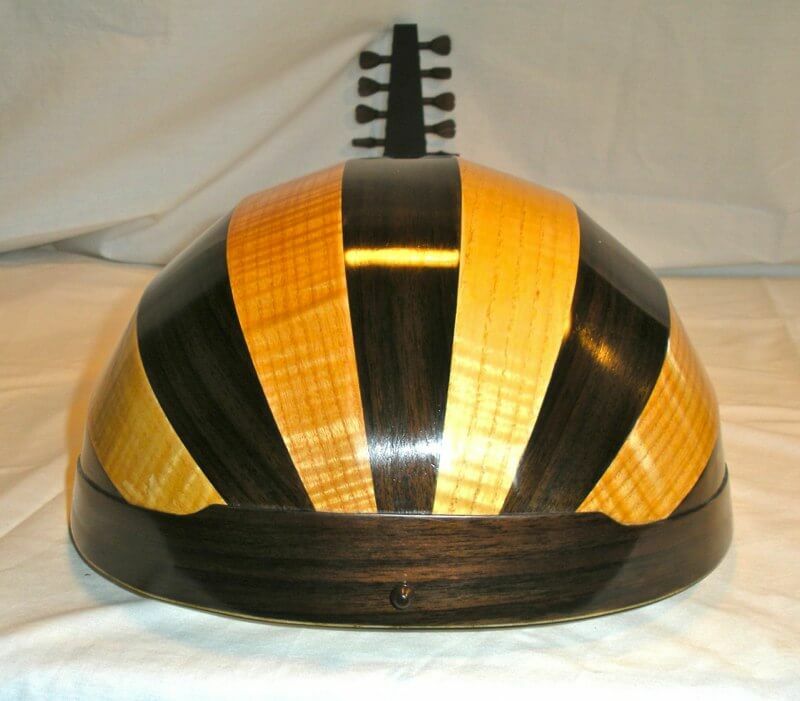 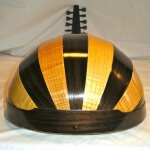 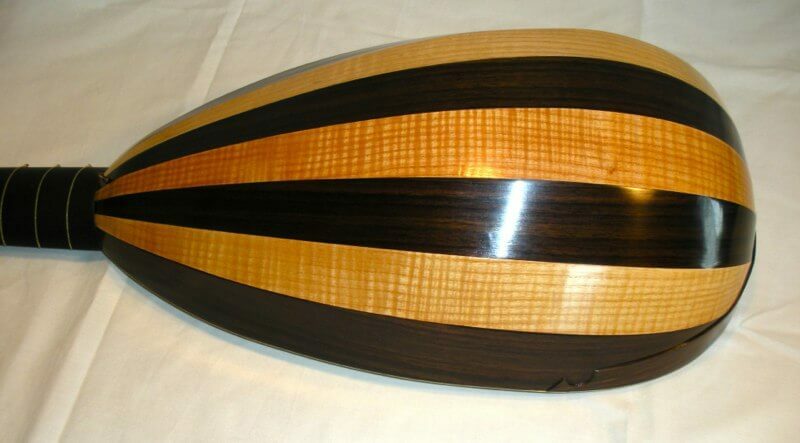 Ebony veneered neck neck and peg box with ebony half-binding. 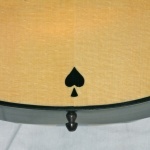 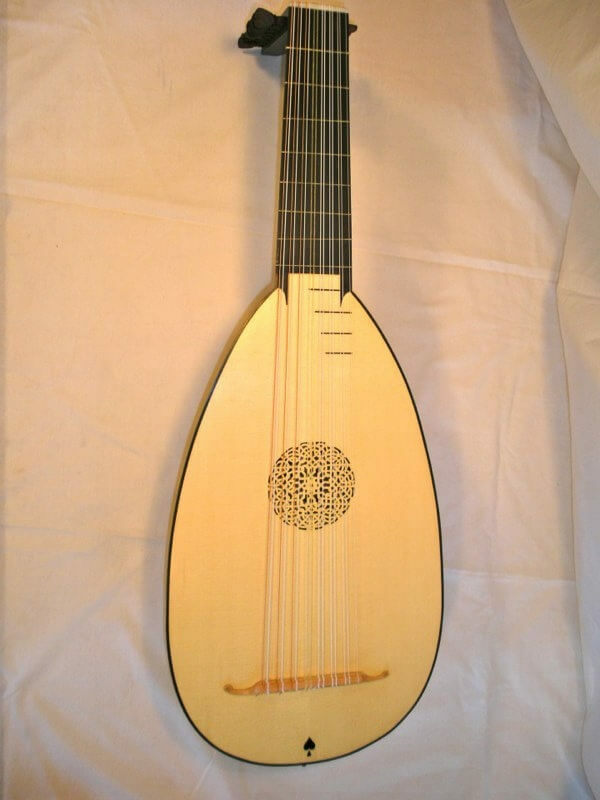 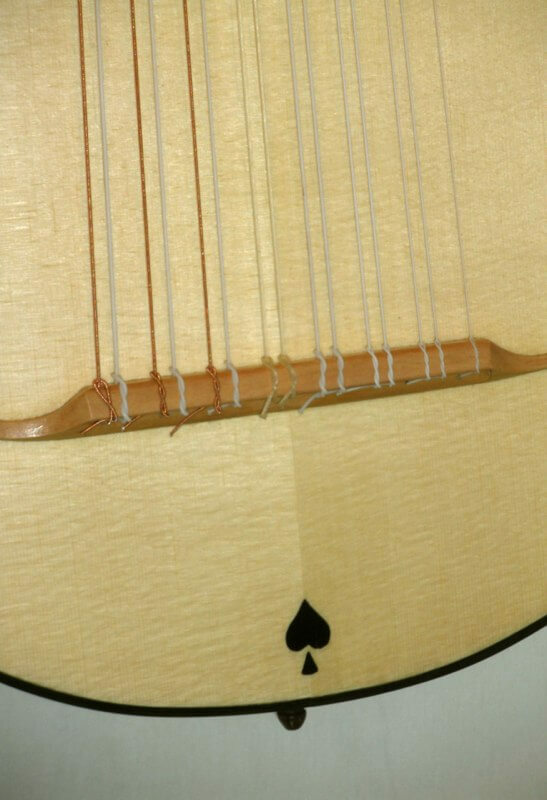 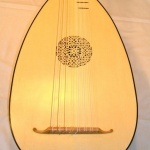 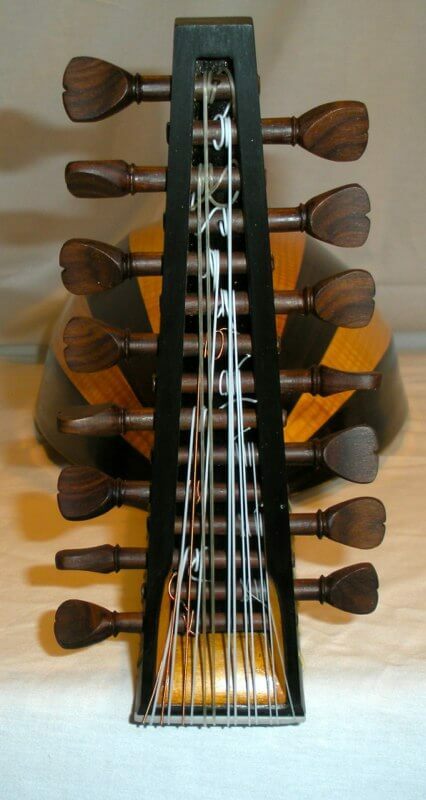 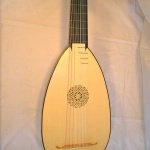 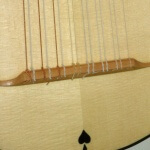 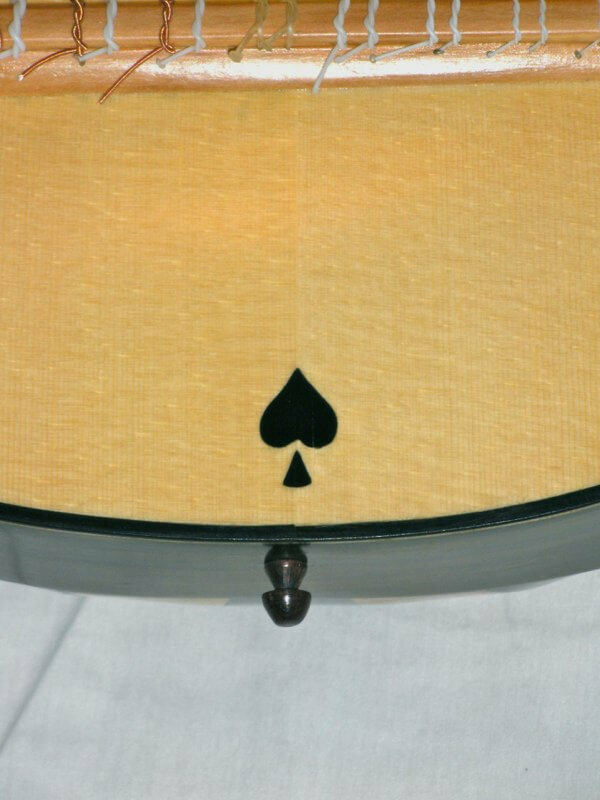 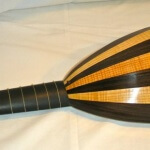 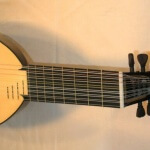 All of my lutes feature Alpine Spruce tops.